Come celebrate Earth Day at the Green Project on April 22! 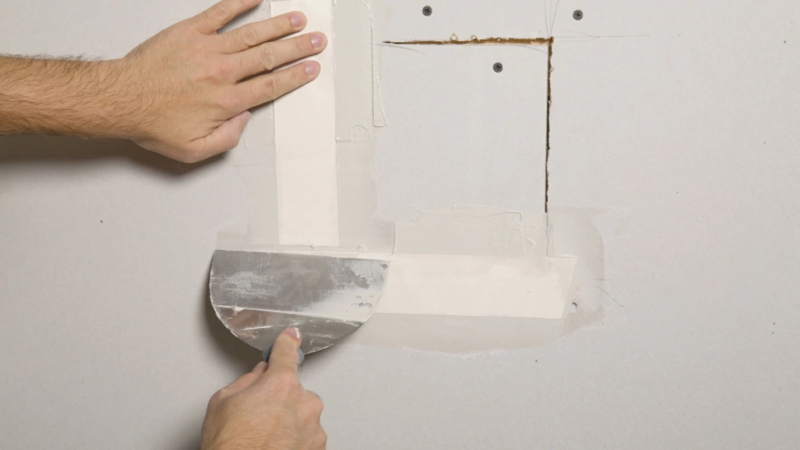 Learn the basics of repairing drywall like how to fix common problems and why they happen. We will start this workshop in the classroom, covering topics like the anatomy of a wall, drywall hanging, different types drywall and their uses, estimating materials for projects, cutting outlet holes, texturing, and the overall steps and processes. Then, we’ll get hands on and go over patching your drywall. Topics include cutting sheetrock, taping and mudding, and finishing techniques, including how to achieve a professional quality skim coat. We’ll practice patching holes, working with the drywall knives, pans, and joint compound to get everyone comfortable with the tools. This workshop is great for homeowners and renters alike! Must hold a valid TGP Membership. Please email info@thegreenproject.org for the discount code. Limited number of slots available for those needing assistance; select “Scholarship” below and skip billing fields at checkout. Give NOLA Day – Give GREEN! Give NOLA Day is on Tuesday, May 7th! It’s 24 hours dedicated to recognizing and supporting all of the wonderful nonprofits in New Orleans. This year, the Green Project’s goal is to raise $5,000! Drop off your paint to our table at your local Whole Foods! Make your own wooden earrings at this hands on workshop! You’ll take reclaimed wood and turn it into beautiful jewelry for yourself or to give as a gift. Learn how to build custom solar window screens for your windows! We’ll tackle how to measure, build and install lasting screens to keep out heat and bugs. Ever want to learn about the ins and outs of tiny house building? Now's your chance! Tidying up? Looking for decorative shelving ideas? Learn the basics of building and installing shelves at our Modular Shelving Workshop led by Andrew, our Reuse Coordinator. Get your house ready for spring by building your very own cedar siding planter box. We will build an angled planter that can sit on your window sill or be hung outside. Join Jordan from All You Need for a lesson in edible ecosystems! At this workshop, you'll learn about bat ecology, benefits of bats, and then we'll assemble bat houses that participants will be able to customize with recycled paint. Gearing up for crawfish season? What better way to get ready than to make your very own wooden crawfish paddle! Add some creative reuse to your Mardi Gras costume! We're opening our craft room and workspace for you to jazz up your outfit with recycled fabrics, beads, ribbons and accouterments! On February 16th you're going to the Green Project and making a light-weight, ultra-fast drying paper mache head mask with Kevin O'Sullivan. A man who, by the time Mardi Gras rolls around, generally has half of a costume, the head part. Join Jordan from All You Need for a lesson in compost! Learn how easy it is to compost, what the benefits are, and how you can get started. Join us for an interactive, hands-on conversation with No Waste NOLA about living with less in the Crescent City. Join Jordan from All You Need for a lesson in Permaculture! In this workshop we will discuss how the principles of Permaculture relate to our lives, and what kind of strategies can emerge from these principles. Help bring awareness to the environmental impact of single use plastics while making something useful—like a plant hanger! Our hands-on Recycled Rope Making workshop teaches how to turn plastic bags into strong and interesting rope. A perfect instrument for musicians of all skill levels, this Peruvian box drum can also be used as a chair. Learn the basics of box building, as well as cutting, fastening and finishing while making these highly customizable drums. Join Jordan from All You Need at TGP for a hands on workshop where we will cover mushroom basics then inoculate logs with shiitake and oyster mushrooms. Want more trees in your neighborhood? Learn how to make it happen at SOUL’s next Block Captain Training at the Green Project!